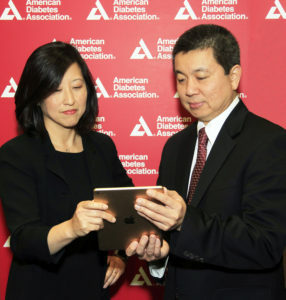 The American Diabetes Association has announced a new competition for app developers proposing cognitive computing solutions for diabetes. Clinical and research data from the ADA’s vast repository will be made available via IBM Watson Health. Announced at the ADA’s 76th Scientific Sessions in June, app developers will have the chance to reimagine how diabetes is managed through Watson’s data analysis. Watson will enable healthcare providers, researchers, institutions and patients to all benefit from more streamlined and efficient data analysis. Data is deidentified and shared via Watson’s cloud system, enabling secure and timely access for app developers across all facets of healthcare to explore app-based solutions for diabetes prevention, treatment and management. “Patients, caregivers and healthcare providers need access to cognitive tools that can help them translate that big data into action, and Watson can offer access to timely, personalized insights,” said Kyu Rhee, MD, MPP, and IBM Watson Health’s chief health officer. As 29 million Americans have diabetes according to the Centers for Disease Control and Prevention, with 415 million adults worldwide, the opportunities from this partnership will help accelerate the fight against this chronic disease. For competition details, head to http://watsonhealth.ibm.com/challengediabetes.